Don’t miss out on this unique river run! 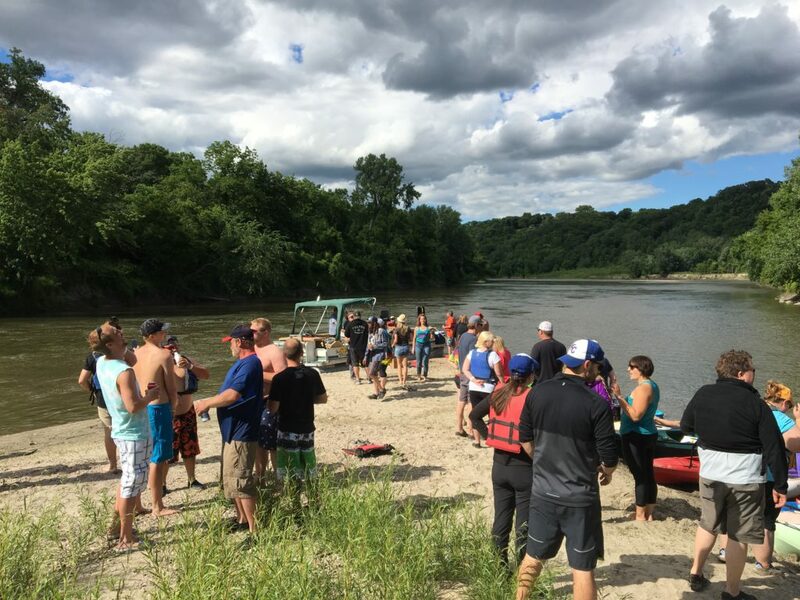 Beginning at County Road 90 on Saturday, June 22 at 10:00 a.m., Paddle Jam will float down the Blue Earth River for approximately 90 minutes while enjoying live music from a pontoon and cold beer from Fulton Brewery. End your float at Land of Memories Park and continue the fun at Solstice Outdoor Music Festival. Whether it’s your first time down the river or you’re an avid paddler, Paddle Jam is guaranteed to be a unique experience! Paddle Jam is included in your Solstice admission. Additional information will be released.